WHETHER YOU’RE LOOKING FOR A SERVICE FOR ADULTS, KIDS, YOUTH, OR YOUNG ADULTS, WE’VE GOT A SPACE FOR YOU. We’re confident that you will feel welcome in our community, and we have something for everyone to participate in. Every weekend we have four adult services available for you and your family to attend. 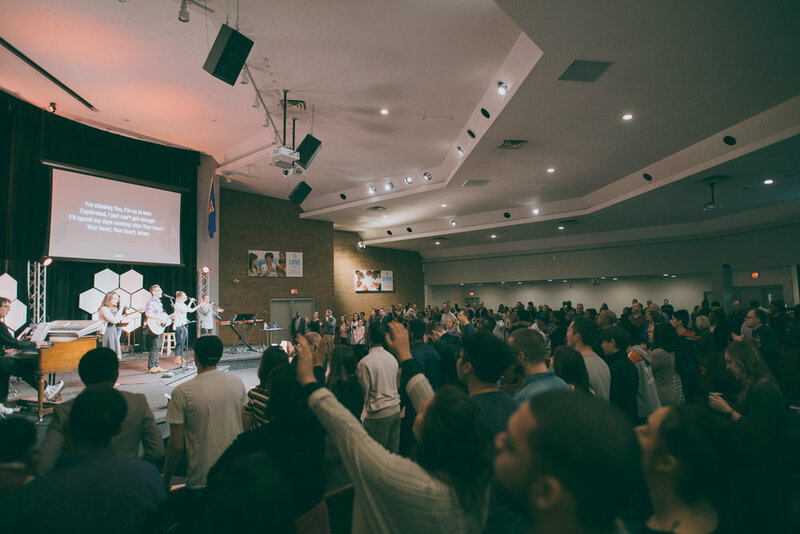 All four of these services provide the same experience for you, with powerful worship, an engaging message, and welcoming people as you walk in the door. During our weekend services, we have spaces for your family, specifically your children to engage in relevant, rich teaching. At BP Church we have created some pretty unique spaces for students in grade 5 - 12. Our desire is that students would have fun, make friends, be mentored, and encounter Jesus at everything we do. Healthy community is essential for everyone. That’s why we have a space for young adults to build community together at BP. Serving is one of our core values. We provide space for everyone from our leadership to our attendees to get involved in serving at our church. From kids ministry to hospitality, community BBQ’s to Easter egg hunts, we’ve got something for you to be a part of.